These upcoming weeks are going to be incredibly busy for me: our state standardized testing, a weekend-long conference at the women’s prison that I’m helping to host, the National Board deadline looming dangerously close, getting my taxes done… I’m sure you could fill out a list even longer! So on Wednesday I wasn’t sure if I wanted to fight the rush hour traffic to make it to church. Our services are broadcast on the internet, and I figured I could stay home and watch it. But that night I felt the Lord calling me to make the extra effort to go, and I did. As the worship began, I felt something so powerful wash over me that I trembled for a second, and I knew why God had brought me there that night- there was something He wanted to tell me through the service. As I concentrated on meditating on Him through the song, I felt my mind wandering to my ever-growing to-do list, and tried to refocus. The Lord gave me a fresh word right then: He will make time for everything I need to do, in His perfect timing, because He has prepared good works for me ahead of time. I blinked and was a bit taken aback, because I’d never considered that interpretation of Ephesians 2:10. I’d always thought it meant that God had divine appointments set up for us from time to time: opportunities to minister to and witness to others. But now I realized that EVERYTHING we do has the potential to be a good work He prepared for us. Proverbs 3:5 tells us to acknowledge Him in ALL that we do and He will direct our paths. That means He’s already set aside time for me to go to the grocery store- that’s a good work because I need to buy food to nourish my body! He’s prepared a time for me to grade that stack of papers that’s nearly toppled over- that’s a good work because it’s part of how I serve Him through the profession He has called me to! If I manage my time according to His plan, everything will fall in line. The Lord promises He will never burden us with more than we can handle, and we can trust that He’ll give us the time, energy, and strength to complete our work. And everything we need to do in our lives is a good work, because we are representatives of Christ, shining light everywhere we go. I encourage you to be receptive to His still, small voice when He calls you to be flexible in your schedule. That trip to the pharmacy you don’t feel like making might be an opportunity to listen to the complaints of someone else in line and be a model of Christ-like patience and kindness; staying late to organize your classroom might be a time when you discover a note under a child’s desk that discloses some problems at home. When we work as unto the Lord (Col 3:23), all of our tasks have significance. I strive to give God the glory for every small victory, and take the opportunity to minister to others and be a good witness when things don’t go my way. The truth is, God knows everything that’s going to happen to us, and it’s all ‘Father-filtered’. Nothing happens that He doesn’t allow for our ultimate benefit. Why not submit to His leading and trust Him? God is faithful. About ten minutes into the teaching that Wednesday night, the pastor quoted, you guessed it, Ephesians 2:10! That was all the confirmation I needed to truly give over the little things in my life to Him. Think of all those tedious things on your to-do list at work- filing, writing parent notes, collecting homework- as a good work prepared ahead of time by God for you so that you can glorify Him. Suddenly those tasks feel less menial and overwhelming: you’ll have the peace of knowing that you’re in God’s perfect will for your life. I simply wanted to thank you for taking the time to write out these devotionals! God is using them for His glory! What a blessing! I share your devotionals with our teachers' pray group . 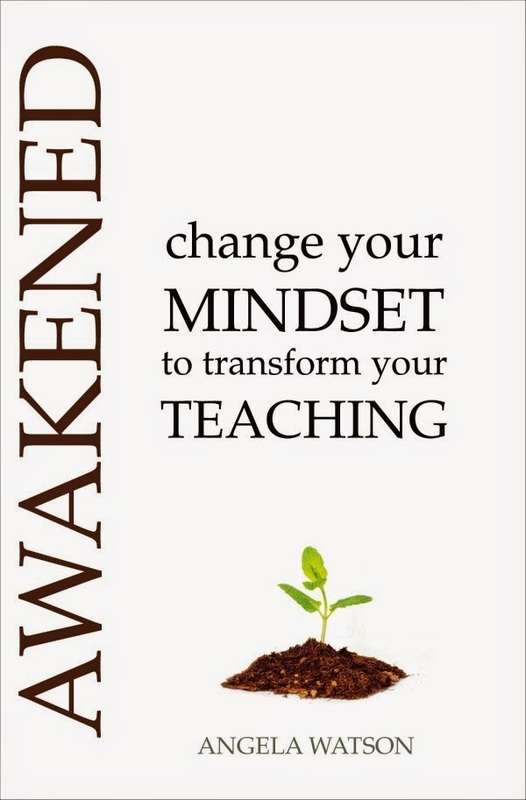 . . know that God is using you to encourage other teachers. 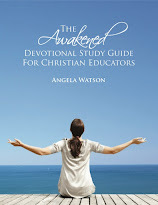 I am so excited about your devotions for teachers. I have to lead devotions this Friday and was asking the Lord to help me be creative. 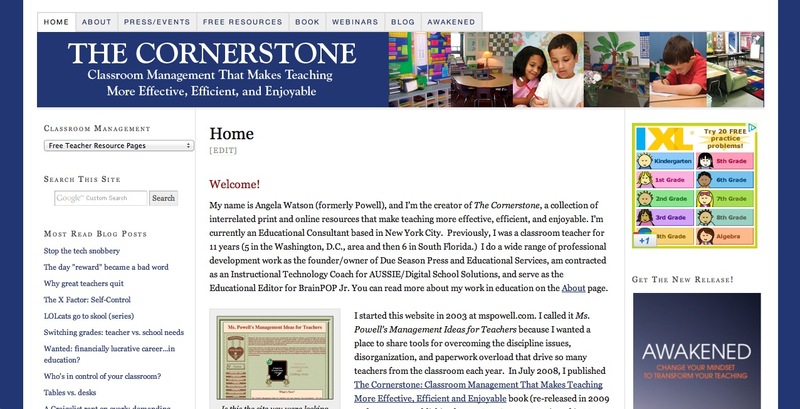 Then I googled "creative devotions for teachers" and found your site. Each teacher in our elem, middle and high school will receive a coffee filter labeled "Father filtered" as I share your devotion with them. Blessings in your continued work. Thanks so much.